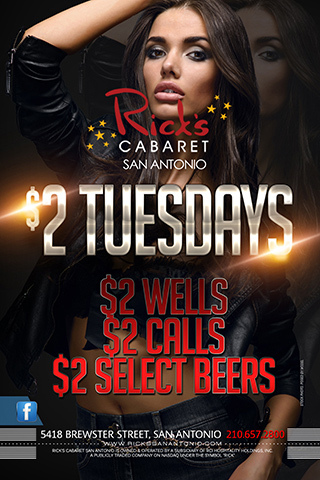 Welcome to Rick’s Cabaret San Antonio, San Antonio’s #1 Gentlemen’s Club. We are located conveniently behind the Harley Davidson dealership on Interstate 35. We are minutes from the San Antonio International Airport, The forum shopping Center and the historic river walk in Downtown. 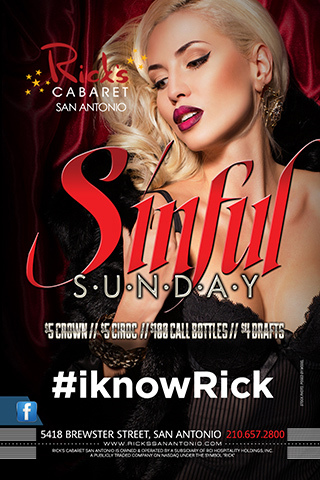 At Rick’s Cabaret, we pride ourselves on our first class entertainment, professional staff and impeccable service. We offer you the experience of a lifetime, and leave you with a smile. Come in a let our staff and entertainers pamper you during your visit with us. Sit down, kick back and live the dream…. Take a seat on our main floor spanning over 10,000 square feet of pure pleasure. 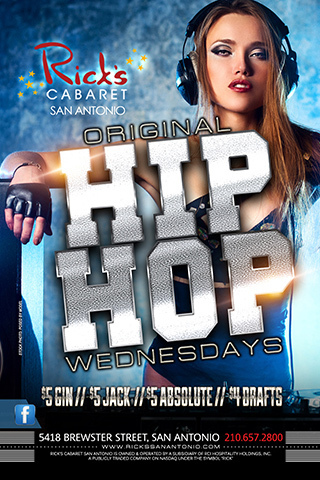 Enjoy the Finest Entertainers San Antonio has to offer on 3 stages. 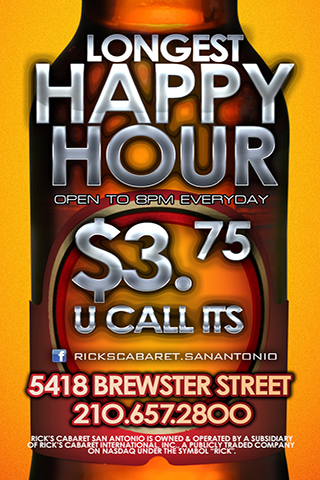 Your favorite games on one of our 9 55” plasma tv’s, or the city’s Largest HD TV, 230” of sporting action!! VIP section, which hosts it’s own private bar area, luxurious private dance cabana’s and all the sporting action you can handle with many plasma and big screen tv’s. 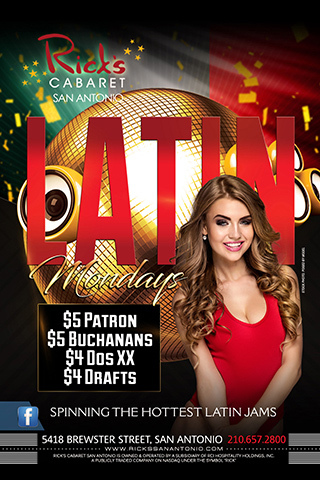 Planning a Bachelor, Bachelorette, Birthday, Graduation or Divorce Party? We are your Party headquarters. With the best in Bottle and Champagne Service, we can tailor a package to fit any situation!! 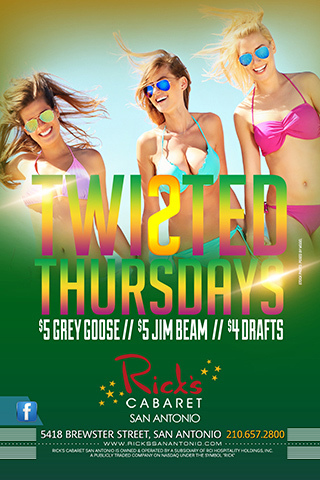 Rick’s offers the most affordable drink prices, Bottle and Champagne prices and VIP……. Why would you want to go anywhere else!